THIS YEAR ABP SOUTHAMPTON MARATHON IS WORKING CLOSELY WITH GO! SOUTHAMPTON, THE BUSINESS IMPROVEMENT DISTRICT, TO BRING THE BENEFITS OF OUR EVENT TO LOCAL HOTELS AND TOURIST ATTRACTIONS. Here you can check out our list of recommended hotels to stay at for the 2019 event! room2, the world’s first hometel brand, is a unique offering combining the comforts of home with the service of hotels. When you stay with room2 Southampton it’s on your terms. Forget fixed checkout times, overpriced minibars and missing breakfast, at room2 you’ll find things are a bit different. The 71 spacious rooms which span five floors and feature spectacular views over Queens Park and the ocean, are complete with fully equipped kitchens, large king beds, and plenty of space to work or relax. Additional loft levels offer a unique place to unwind or for kids to play. room2 are delighted to offer a 20% discount on accommodation, food and beverage at the Living Room. Terms and conditions for the ABP Southampton Marathon Special Rate. This room rate provides the most flexible access to your choice of accommodation. It includes applicable taxes and service charges. Bookings can be cancelled or amended up to one day to prior arrival, without charge. Any cancellations made after this point or failing to show, will result in a charge of 1 night per room to your credit card. Failing to call or show before check-out time after the first night of a reservation will result in cancellation of the remainder of your reservation. Offer valid for stays from 3rd - 5th May. 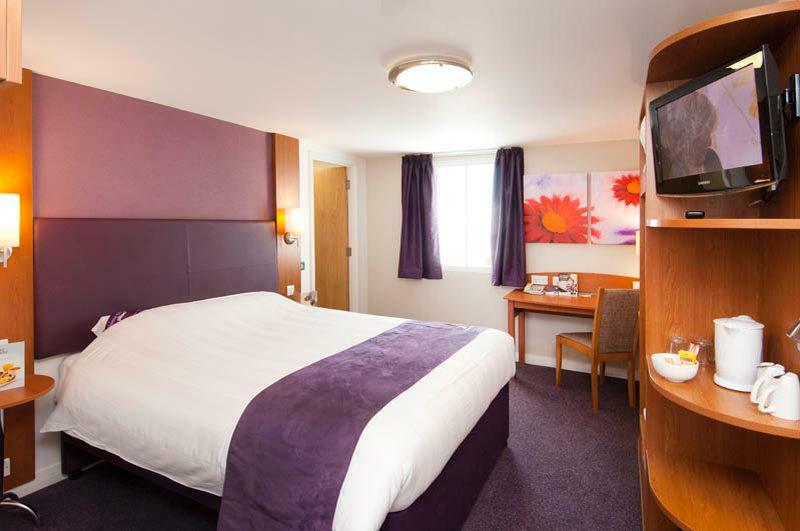 The 4* Mercure Southampton Centre Dolphin Hotel is centrally located in the City Centre. It’s the oldest hotel in the city, dating back over 500 years and is packed full of character and history. Its Grade II Listed status and charm all add to the hotel’s personality and no two rooms are the same. The ABP Half Marathon runs directly past the hotel so is the perfect venue to base yourself before, during and after the big event. The hotel expanded in 2013 and now has 99 rooms ranging from a standard twin or double, to a family room or Mercure Privilege room. The hotel's Signature Restaurant has been awarded an AA Rosette for food quality and the separate Oak bar is a great place to relax in the evening. The hotel has 2 large and bright function rooms, one named after the famous author Jane Austen as she celebrated her 18th birthday here over 200 years ago. The hotel has its own onsite car park and is close to all major transport links with Southampton Central Station being under a mile away, ferry terminals 5 minute walk away and Southampton International Airport being just a 20 drive to. The hotel is located in the centre of Southampton and offers great views of the Cruise Terminals and Southampton Water, overlooking the beautiful landscaped Mayflower Park and the Solent. Southampton is the Cruise Capital of Europe and the hotel is perfectly suited for pre and post cruise stays, being home to Cunard cruise liners and Royal Caribbean. The hotel has plenty of car parking spaces and is 2 minutes walk from WestQuay, one of the biggest shopping malls in the country. You can download a useful map of Southampton here. Our friendly staff at the Southampton hotel will greet you in our airy Lobby and you can swim in the 15-metre heated pool in our Health Club or use our fully equipped gym during your stay with us. Our conference suite area has 5 air-conditioned meeting rooms and there's high-speed WiFi Internet throughout the hotel. Enjoy parking at our hotel for £7 per day. Taking part? Book your stay with us in the heart of the city and benefit from our comfortable bedrooms, Spirit Health Club and restaurant. Call us on 02380 388142 or email reservations@hisouthampton.com now. Jurys Inn Southampton is located in the heart of the city overlooking East Park and just a 15 minute walk from the Central Rail Station. The hotel is conveniently situated for all the city’s key attractions from the City Art Gallery and The Mayflower Theatre to WestQuay Shopping centre and O2 Guildhall Southampton (a multi-purpose venue as well as a stunning Grade II listed building). Alongside the many city attractions, Southampton has a rich cultural history and some beautiful parks. Just a twenty minute walk away you can explore the Hawthorns Urban Wildlife centre or jaunt around Southampton Common and feed the ducks on the lakes. Alternatively, a wander down to Old Town (under 15 minutes walking) to discover over 90 listed buildings and 30 ancient monuments as well as the Old Town Walls which date back as far as 1175, is the ideal attraction for those looking for some culture and heritage. With 270 spacious, comfortable and affordable hotel rooms, from the standard double to our superior suite, Jurys Inn Southampton is the largest hotel in the city. Each room is en-suite and contains a flat screen TV with all the available freeview channels as well as free WiFi. The Jurys Inn hotel in Southampton can accommodate up to four guests (two adults, two children) and always provides fresh linen with an extra duvet and pillows for the large soft beds! Our bedrooms have been created for our guests comfort to ensure a good night’s sleep, leaving our guests refreshed and ready to face the day ahead. As with all of our hotels, Jurys Inn Southampton have a number of guestrooms that are suitable for guests in wheelchairs, which include lowered beds, wider doorways and fully accessible bathrooms. At Jurys Inn we pride ourselves on these features and want to make sure all guests have a comfortable city break with us. Our hotel in Southampton offers excellent dining options with our in-house The Inntro Bar which provides the perfect liquid refreshment after a long day. You can enjoy a burger or some traditional pub food from our bar menu, or alternatively, you can sit down to a two or three course meal at Jurys Inn Southampton’s Innfusion restaurant* - peruse the menu here. If you’d like coffee to go, our in-house Costa Coffee is the place to be! Alternatively, you can sit with a newspaper, curl up with a good book, or surf the web on Jurys Inn’s hotel-wide free WiFi and enjoy the luxury of having an all-day Costa coffee bar at your fingertips. If you are a visiting Southampton on business, we have 10 fully equipped meeting roomsable to accommodate up to 130 people, depending on layout. Our business packages offer tea and coffee refreshments, lunch options and dedicated event staff on hand to ensure your meeting runs as smoothly as possible. Get the ultimate insider with Jurys Inn Southampton’s virtual tour.